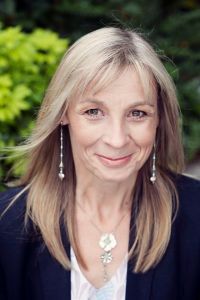 My name is Nicky Claydon and I have created this site to help you learn more about how Appreciation Marketing, together with good follow-up, can help you gain/retain more customers and team members and enable keeping in touch so much easier. Are you getting the most from your business and personal relationships? I can show you a great way of staying connected with those closest to you and also help you to build long and lasting business relationships whether you are a small business or direct sales business owner. Would you like help and advice on how to maximise your business relationships through Attraction & Relationship Marketing? Businesses who want to grow a larger customer base, improve customer retention and get more referrals really enjoy working with me. I’d really enjoy helping you with tips and advice for FREE! Are you fed-up with forgetting friends and family birthdays and other important dates? If so the system that I use is perfect for you too as there is a FREE reminder system which sends you an e-mail reminder two weeks before those important dates are due so you have plenty of advance warning to pop a card in the post to arrive on time. You may also be visiting my site looking for more information on how you can earn an additional income alongside what you currently do. If so, you can do that too via the company that I am partnered with or via the system that I use in order to keep in touch with my direct sales business contacts. This system is useful not only for direct sales businesses but any other type of business. I’m often asked if I only work with local-based businesses but, as this is a global business, I am not restricted to working just in my local area. If you are further afield this isn’t a problem. If you have a smart phone/PC, then we can work together and work out the details. Change your business/personal relationships and your own circumstances for the better, right now! Hopefully, you will be able to find all the information you need here or by getting in touch with me to make an informed decision. Just get touch by connecting with me on my Facebook Page and I’ll get right back to you.